There are many ways you can create or manage Virtual Machines for your numerous lab environments. 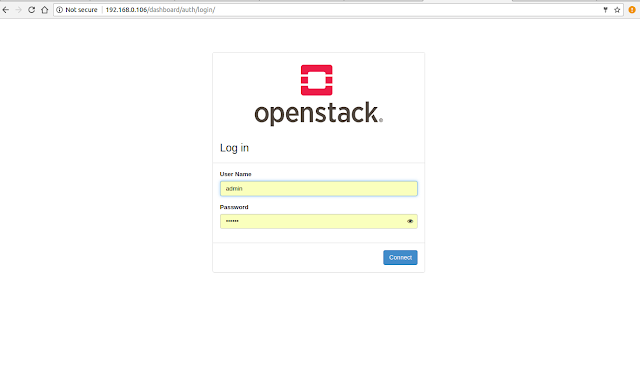 I can go for traditional approach ether VMware Workstation or Virtual Box but hold on, i thought why don't i go for openstack images. This guide will help you to install Openstack Standalone installation on a Ubuntu 16.04 Box. Hope you have a good internet speed too, take my words it will work like a charm. 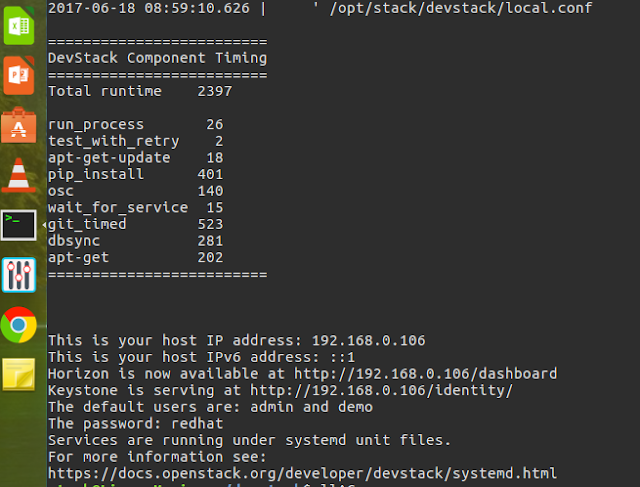 So first of all you must have a Linux Box with Ubuntu 16.04 OS within it and predefined scripts within DevStack will do the hard stuffs for you. Create a user " stack " and give it sudo privileges . So once you are done with the above steps, you are ready for the DevStack installation scripts. Switch to user stack from terminal. Since we are using internet directly, we gonna download the latest version on the go from git at all. Once downloaded, switch to devstack directory and make some required configuration changes. Change multiple passwords to one or if you can remember, keep multiple passwords for various utilities too. So i had the below mentioned changes, you can make it on the same fashion too. Once done, save the file and toggle back to the same devstack root directory and run the final script. The entire process can take a time from 30 Min - 1 Hour or more depending upon you network internet speed. at the end you can see something like that. Your IP will vary offcourse, you can now login to your default dashboard login page.